Every Monday afternoon you can find Professor Umakishore Ramachandran with new faculty around him in the School of Computer Science (SCS) lounge. These coffee breaks are a good time for junior professors to bring questions and concerns, but they’re also a chance to build community. Ramachandran has always valued community. When he started at Georgia Tech in 1986, the department was so small that it inherently felt close knit. He remembers everyone eating lunch together daily or catching up over the 10-cent coffee in the lounge. When a college grows from 18 faculty to more than 100, some fragmentation is expected, but Ramachandran has tried to bring back that sense of collegiality and collaboration. It often starts with the newest faculty. 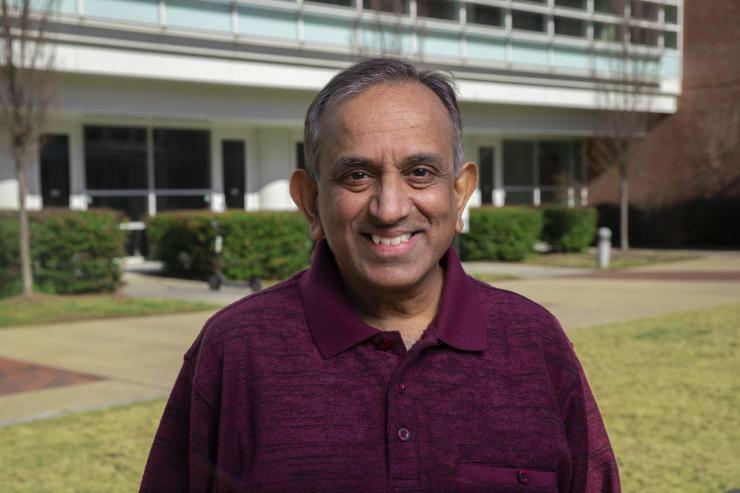 Ramachandran served as the recruiting chair for several consecutive terms in the 1990s and 2000s, and saw the challenges new professors face when starting at a different institution. Many assistant professors have never held a faculty position before and need help recruiting students for research, writing grant proposals, integrating their previous research with new endeavors, and finding ways to gain visibility in the wider computing community. Despite the learning curve, many new professors don’t ask for help, Ramachandran realized. This is where Ramachandran’s weekly coffee gathering came from. There isn’t an agenda for these meetings because Ramachandran believes the most productive brainstorming sessions often happen when things are kept open. “When intelligent people meet, good ideas happen automatically,” Ramachandran said. New Assistant Professor David Devecsery regularly attends these meetings and has found the guidance invaluable for settling at Tech. “Kishore's experience and knowledge is an invaluable resource,” he said. “If I ever want to get something done, Kishore is one of the first people I ask about how to best accomplish it. This was why Ramachandran hosted SCS’s first Edge Computing Summit last semester. Although many professors were working on edge computing research, they weren’t working together. Ramachandran wanted to put them in the same room to create new projects and strengthen Tech’s work in the field. Each presenter gave a short talk about their research followed by a panel where they discussed potential joint efforts. This collaborative format was unique for a summit, and Ramachandran hopes to host more brainstorming sessions this semester to get faculty partnering on new projects. Whether he’s mentoring new professors or making sure everyone collaborates, the goal is to create a healthy community.